Super nice 1994 Brookfield double wide in a 55+ park. This home features an open floor plan with 3 bedrooms and 2 full bathrooms, all bedrooms have walk in closets. 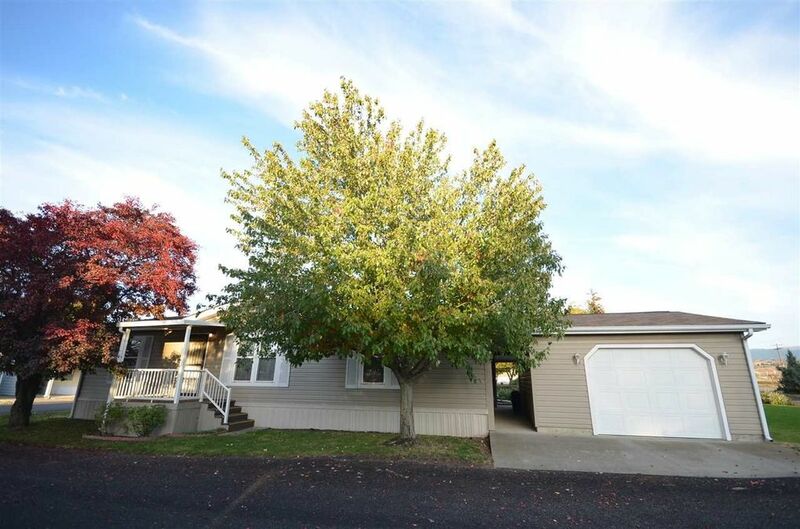 The home has steel siding, a garage, a storage shed, a carport, sits on a corner lot. The Master suite features a full bathroom and a walk in closet just off the large living room that features a free standing gas fireplace. The home also has forced air furnace and central air, and a sprinkler system. Water & sewer all paid in lot rent.